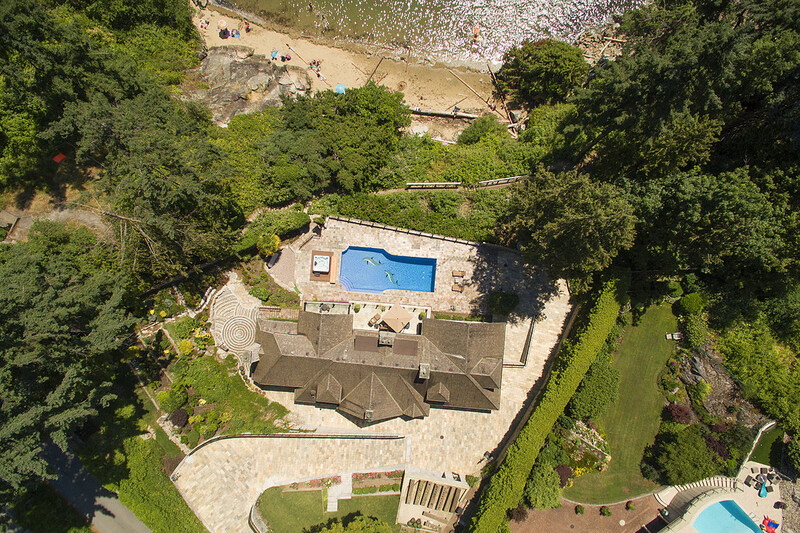 There is no shortage of great pools in West Vancouver and while this one isn’t too crazy, it certainly caught out eye. From above and below you can see the dolphins that sit at the bottom of the pool. The reason we’re calling this the strangest pool in West Vancouver is because the dolphin graphics just seemed out of place and a bit tacky in my opinion. Regardless of that, this home itself is something of a local celebrity and is known as the Stonehaven Estate. It was built in 1924 and since then the current owner spent over 3 years rebuilding this timeless property to its stunning condition you see today. This home is currently up for sale with Sotheby’s for $18,500,000 CDN and has nearly 7800 square feet of living space and is complete with 5 bedrooms and 6 bath.